If we are going to examine the teachings written in the Bible, the evidences proving that the Lord Jesus Christ is not God are indeed overwhelming. IF ALL PEOPLE will rely solely in the Bible in their belief about the nature of Christ, no one would have fallen into the false belief that Christ is the true God because the Bible clearly proves that the Lord Jesus Christ is different from the Lord God. Christ said, “I came from God,” while God has no beginning or end. Thus, the Lord Jesus is not the eternal God. What else proves that Jesus is not the eternal God? Thus, the Lord Jesus is not the everlasting or eternal God. The eternal God has no beginning or end, while the Lord Jesus came from God. The everlasting God will not grow tired or weary, while the Lord Jesus Christ got tired. “When he had received the drink, Jesus said, ‘It is finished.’ With that, he bowed his head and gave up his spirit. The One True God is immortal, while the Lord Jesus died on the cross. 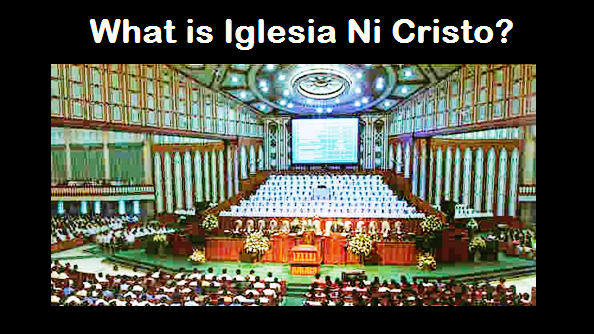 Are INC members prohibited to read the Bible? Does size matter in salvation?